The Yellow Vests 600 Millions € in bank fees to the French for 2019! Without the movement of Yellow Vests, in 2019, the French banks had planned toincrease bank charges and take in addition, the astronomical sum of 500 600 million € bank charges on the accounts of the most precarious French, ie bank difficulties. 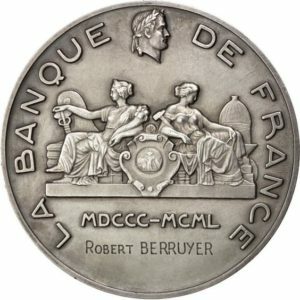 This sum has just been unveiled by the Banque de France. This may sound like a breakthrough for the most precarious French thanks to the movement of yellow vests. But it also betrays a hype of French bank charges. The sum calculated above by the Banque de France concerning ONLY the capping and freezing of bank charges! In addition, bank fees capped at 25 € / month still represent a ceiling of 12 * 25 € = 300 € / year ...Somme far from negligible in the current economic context of many French. What will return, according to the Bank of France, to return 500 households to 600 million euros of purchasing power. Outside of France, for example in Belgium, most personal bank accounts can not go into negative, so there are no possible agios or unpleasant surprises. Why not make this possible in France systematically or at the request of the customer? We will also note, among other privileges, theabsence of VAT on most bank charges: should banks not collect and pay their share of value-added VAT like other companies? Of course, it is true that bank charges (agios for example) are not all billed in the strict sense of the term: they are simply taken from the accounts. In the name of what is this banking privilege still acceptable in the difficult economic context that has made born the movement of Yellow Vests? You will find below the source of the facts analyzed in this article. To meet the need for purchasing power of yellow vests, the President of the Republic asked the banks and French companies to make an effort. In particular, the largest French groups took the opportunity to pay their employees a year-end bonus free of tax. On the other hand, this measure will not affect small companies. On the eve of a new day of mobilization of yellow vests, said Act V, the President of the Republic, Emmanuel Macron, hopes that the reinforcement he received from banks and major groups will push a party discontented to give up the now traditional manifestation of Saturday. On Monday 10 last December, during a speech to the nation, Emmanuel Macron announced social measures in terms of Smic, CSG and overtime. On this occasion, he also announced that he would receive at the Elysee banks and large companies, to solicit their contribution. Things made from the 11 and 12 December. The bosses of the big French banks have agreed to freeze their banking fees for 2019 and to cap the cost of banking incidents to 25 euros monthly for the 3,6 million "most fragile" people. What will return, according to the Bank of France, to return 500 households to 600 million euros of purchasing power. ← Act V Yellow Vests, the origin of the movement, its future and its end?